The term ‘infographics’ simply defines a visual tool to expand comprehension. Have you ever seen statistics or charts with too many words on them and felt they were confusing or not relatable? Infographics are a fun and colorful way to enhance understanding of information – whether it’s regarding the latest statistics of a social survey or simply to breakdown a message in a visual form. 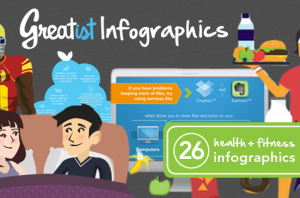 Infographics are known for containing a lot of information, but it looks visually appealing. For example, if you come across data or a lengthy article on a website, chances are you skip over it and move on – but adding some interesting details and visual guidelines encourages you to spend more time reading it and absorb short snippets of information. Placing Infographics on a website is ideal when you have a lot of detailed information you need to share without boring your audience. Another way Infographics are helpful is that they take even the most complex information or data and transform it into easy to understand graphics or designs. Most often, Infographics are used for data presentations, maps or signs – but they work well on countless websites. Do you need to present educational or technical data? The average web user might not understand the terms or concepts related to the data, but graphics and charts will help them visually comprehend the data in a user-friendly fashion. Chronological Infographics – Ideal for a historical explanation or to highlight data over time. Cause and effect Infographics – Explains relationships between concepts, such as global warming and the effect it has on life throughout the world. Directional Infographics – Uses icons, graphs and tables to break down information, such as with traffic maps or navigational materials. Quantitative Infographics – Statistical information and data is made easier to understand through the use of graphics such as charts, tables and lists. Flow charts are also commonly used in these types of Infographics. When using Infographics in web design, the rule of simplicity is essential. The idea of Infographics is to make a concept easy to understand, so it makes sense to keep the graphic clean and organized. Additionally, keep the information used in the graphic focused – when you have too much information to work with, it could be hard to keep it all contained within the Infographics! 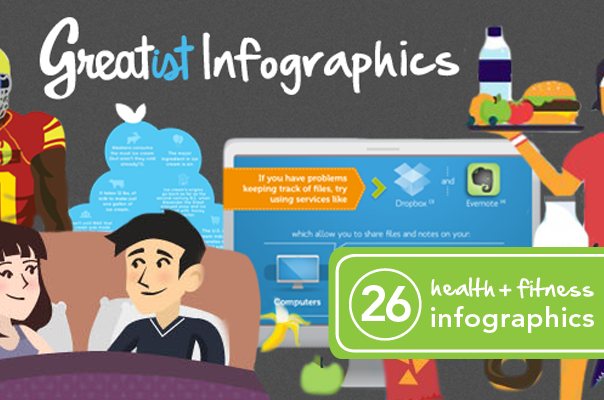 Use color, simple shapes and charts to create simple, informative Infographics.